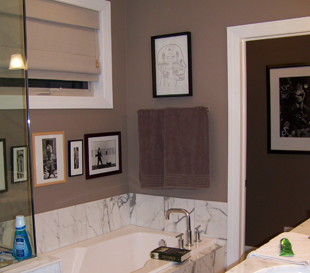 Undertaking a painting project isn't just about covering your walls. It's about completing your vision. And it's about unlocking the possibilities with paint, colors and textures that make previously stark or understated spaces come alive to give your living space a distinguished look. For each person, that means something different. Some seek a comfortable warm haven with honeyed naturals or sun-kissed toffees. Others imagine an eye-catching jolt of spirited color. Still others visualize something elegant and tonal or creative, perhaps with decorative wall finishes and textures. Or maybe an interior design redo of their living space. 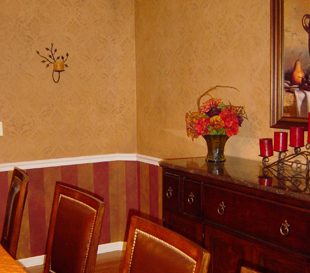 Ordinary painters may be proficient at rolling paint on walls. But when it comes to design or paint ideas ordinary painters are not capable to selectively choose colors that will harmonize with the elements of your room. Jennifer Nippert Painting & Home Décor is a professional full-service commercial/residential painting and interior decorating firm that brings functional, well-planned and creative ideas to the table. Like the artist she is, Jennifer and her hand-selected team focus on designing distinctive interiors for our clientele. Execution of our projects are handled with extreme professionalism and great care of your space while on the project. Significant projects have been completed throughout Chicago as well as Aspen, New York, San Francisco, Cabo San Lucas Mexico, Toronto Canada, Atlanta and Florida. The firms portfolio includes designs ranging from classic modern, transitional and traditional. 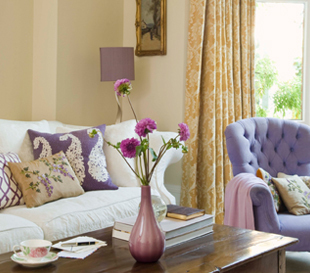 Before you attempt to design or paint yourself into a corner with options that are limited, consult with Jennifer Nippert Painting & Home Décor. Together, we can help make your space as distinctive as you are. Copyright 2011 Jennifer Nippert Painting & Home Décor: Interior Painting Chicago. All Rights Reserved.